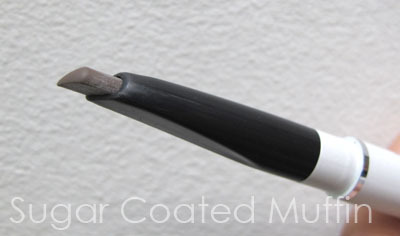 I've been wanting to try out this kind of brow pencil for quite some time. I purchased some normal pencil ones from Daiso and the tip was wayyy too sharp. 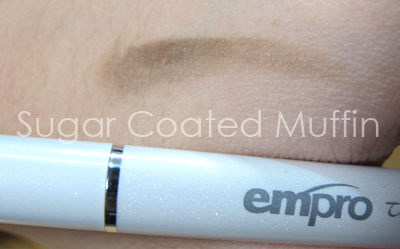 I've had my eyes on the Empro Triangular Brow Pencil for a while now..
Packaging is simple but appealing. Love the fact that it's an auto pencil so you don't have to sharpen it. It's made from 100% natural ingredients so yay~ for the Earth loving beauties. The shade I received is in e3 Golden Brown. There's a total of 5 shades available : brown, natural brown, golden brown, blonde & natural grey. The triangular shape is something like a long tear drop. The wide/flat part is suitable for the inner brow, rounded for your arch while the pointy side is for the tail/thinner regions. See! See! Even a brow newbie like me can use it. Btw, this new formula enhances hair growth and the vitamins improve your eyebrow's root strength & health. This is good news to people who find that their brow hairs are dropping and there are bald spots appearing (aka me). Don't worry.. 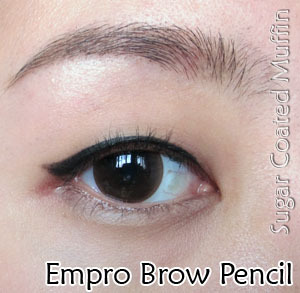 If your brow hairs decide to move out, you can still go for Bonbrow at Empro. It'll make your real brow hairs jealous. My conclusion : Absolutely love this! 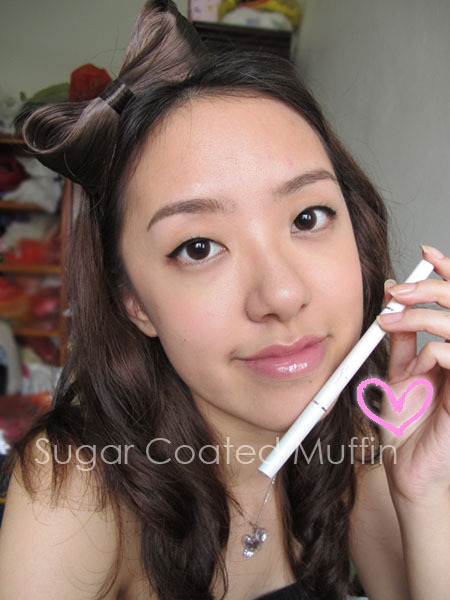 Drawing my brows has never been this easy ^_^ The price is quite affordable too, IMO. Hahaha... Me lovin' it too! I've been using this for the past 2 to 3 years and what you know? I'm finishing my second one soon and will get another. One liner for me can last up to a year or more because I always forget to use it. Hahahaha... Still, lovin' it. Hence, I'm making an effort to finish up my current liner and head to Empro to get my third! Wow it can last that long?! My friend pushed the entire thing out and it didn't seem that long lol Thought maybe max 6 months? I don't know about others but yes, it lasted around a year for me because I applied it like 2 to 3 times only per week. Yes, I'm a procrastinator. Hahahahaha. The entire liner isn't that long and just recently, I realized my second liner is finishing soon. I got it around August last year. Anyhow, these pencils are PURE LOVE! How much product is in the pencil? 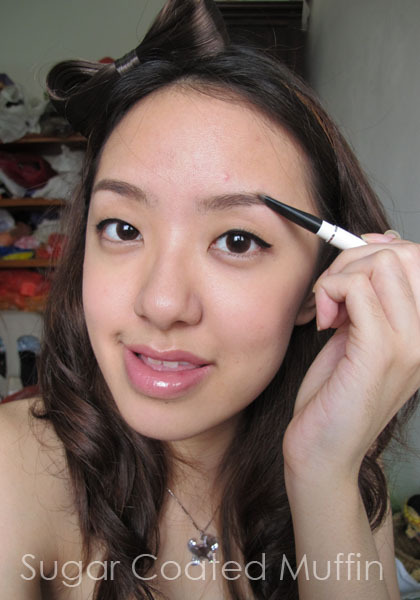 I discovered your blog by googling for reviews on this brow pencil. I like the fact that you can purchase refills -- it means less waste! I wish I had heard about this pencil a month ago, because my Aunt was in Asia and could have picked this up for me. Unfortunately, now I have to find an online retailer that sells this product! 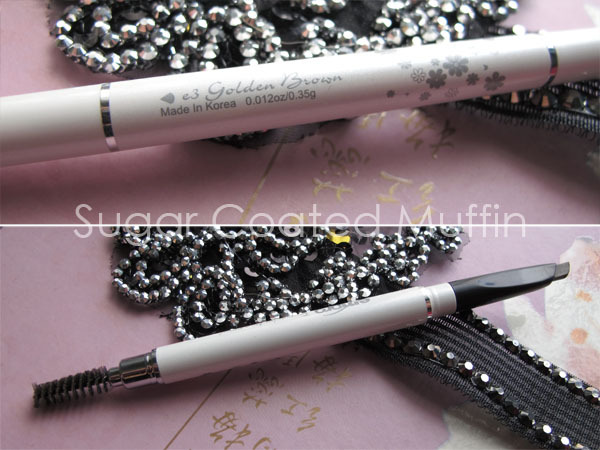 I've been searching for the best eyebrow pencil because I really need this to shape my eyebrow and I found your entry about this pencil eyebrow. hahaha. Thanks Isabel!